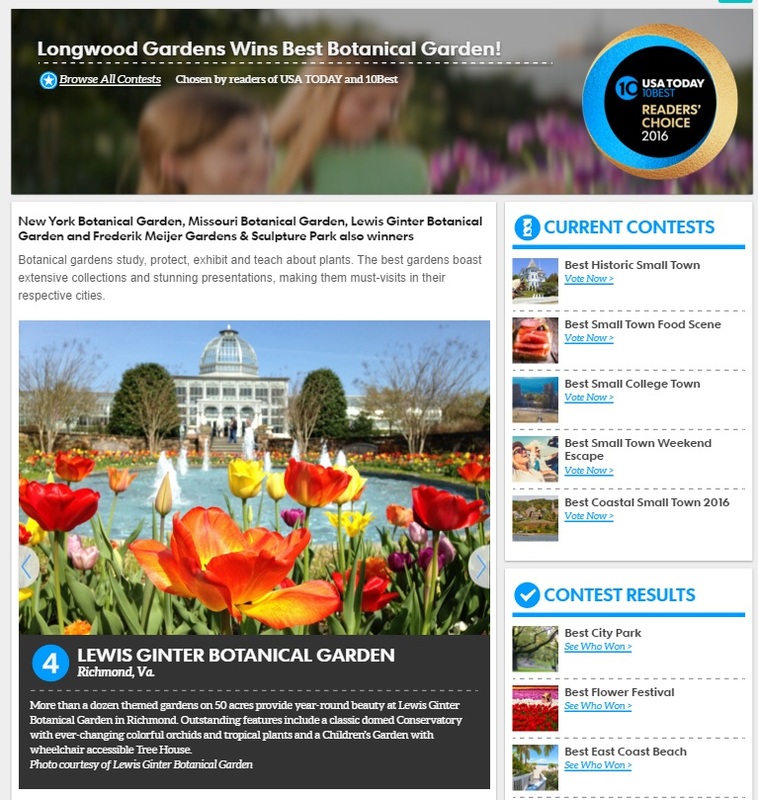 Lewis Ginter Botanical Garden ranks among the best botanical gardens in North America and was just voted the fourth “Best Botanical Garden” in the Nation by USA Today. Only 20 of the nation’s best botanical gardens were nominated. See all Top 10 Gardens. connects people through plants to improve communities. Lewis Ginter Botanical Garden features year-round beauty on a historic property with more than 50 acres of spectacular gardens, dining and shopping. A 63-foot classical domed Conservatory is the only one of its kind in the mid-Atlantic. Visitors can explore more than a dozen themed gardens including a Children’s Garden, Rose Garden, Healing Garden, Fountain Garden, Asian Valley and more. The Garden regularly hosts special exhibits including an annual Butterflies LIVE! exhibit, Nature Connects®: Art with LEGO® Bricks and Origami in the Garden.